Before he even took a snap as starting quarterback for the Kansas City Chiefs, it was clear that Patrick Mahomes had enormous potential as an endorsement star. After an MVP season, that promise has been converted into reality with a bevy of opportunities coming the third-year signal caller's way. One of the first major companies Mahomes aligned himself with after the on-field success was Bose. He was featured in promotional materials for the headset brand during the NFL Playoffs and made appearances at the Super Bowl for the company. 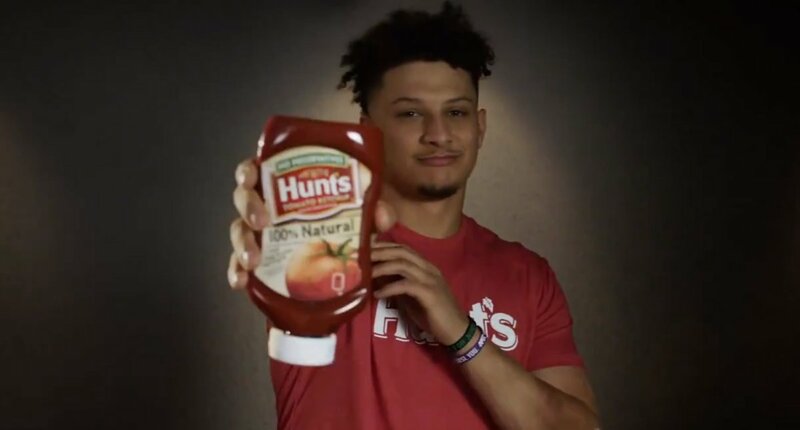 Around the same time, Mahomes professed his love of ketchup and, naturally, a deal as brand ambassador for Hunt's Ketchup emerged. Rival Heinz had previously offered him a lifetime supply of the condiment if he set the NFL's single-season touchdown pass record. Ketchup is not the only food item on Mahomes' endorsement menu. Kansas-based Goodcents Deli Fresh Subs also featured him in a commercial in January to celebrate their 30th anniversary. 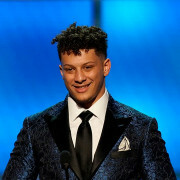 Last month, Mahomes made history as the first NFL player to become an endorser for the sunglass maker, Oakley. He is the face of their Prizm optics line and the "See it in a Prizm" campaign. Mahomes' most recent marketing opportunities came this week with the announcement of agreements with the ionized alkaline water brand, Essentia Water, and grocery store chain, Hy-Vee. Essentia is featuring him in a new commercial as part of their "It Might as Well Be You" campaign. HyVee, on the other hand, has a series of commercials, social media promotion, apparel, in-store appearances and product launches planned. They also had Machomes kick off their pact by speaking at their Exercising Your Character youth event in Iowa. Mahomes also has endorsement deals with Adidas, Advocare, CommunityAmerica Credit Union, Executive AirShare, Panini Trading Cards, SSM Auctions and TicketsForLess. Last year, he threw for 5,097 yards and 50 touchdowns, becoming just the second player to reach both marks in the same season. To inquire about Patrick Mahomes' speaking fees and appearance costs, contact the agents at Athlete Speakers by calling us at 800-916-6008 or by Starting Your Booking Request Now.